Our iconic Windrunner reaches a new level in the Nike Sportswear Windrunner Jacket. Designed with a packable hood for multiple wear options, it features a dimensional look on the arms and the classic chevron on the chest. A chevron design and colour blocks throw it back to the 1978 Windrunner Jacket. A packable hood offers versatile style. Fabric (colours 011, 492, 438, 623): Body: 100% nylon. Upper sleeve panels: 100% polyester. Mesh: 100% polyester. Fabric (colour 134): Body: 100% polyester. Upper sleeve panels: 100% nylon. Mesh: 100% polyester. Fabric (colour 100, 101, 271): Upper body: 100% nylon. Lower body: 100% polyester. Lower sleeves: 100% polyester. Mesh: 100% polyester. Fabric (colour 677): Body: 100% nylon. Mesh: 100% polyester. Have your say. 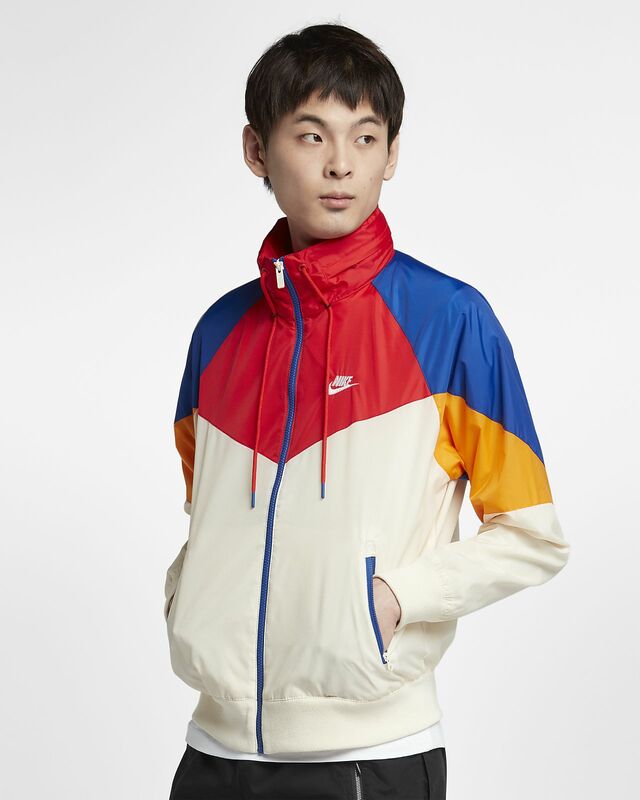 Be the first to review the Nike Sportswear Windrunner.